Welcome, come in to the 324th Carnival of Space! The carnival is a community of space science and astronomy writers and bloggers, who submit their best work each week for your benefit. 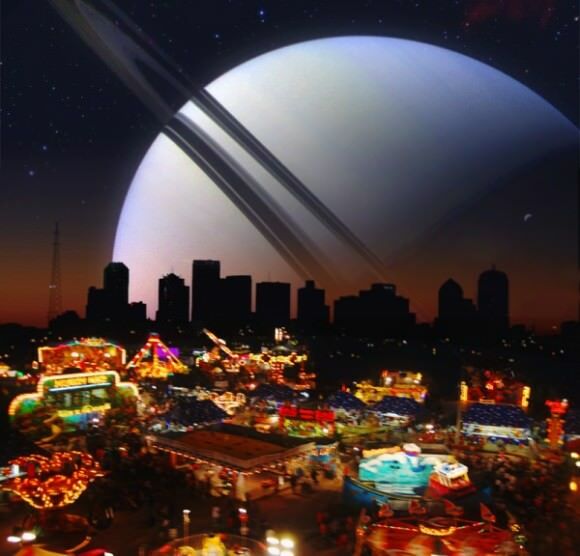 I’m Susie Murph, the newest member of the team at Universe Today, and I’m both thrilled and intimidated to be hosting this week’s Carnival for you, Hopefully I can present these articles with the fanfare that they deserve, so now, on to the stories! First up, the Chandra X-Ray Observatory site began the week by celebrating Ada Lovelace Day. Ada Lovelace is widely considered to be the first computer programmer, and this day is celebrated as an occasion to promote women and their achievements in science, technology, engineering and math (aka, STEM), and Chandra does just that through their series of blogs Women in the High Energy Universe. Check out these posts about the amazing contributions that these women have made to both the observatory but also the fields of scientific endeavor. Then we have the Photospace.Com blog post about how scientists think that carbon is treated in the clouds of gas giants and the possibility of diamond rains on those and other planets with rings. Next, we have the Space Frontier Foundation discussing important point in the movie ‘Gravity,’ – the very real threat of orbital debris. (Spoiler Alert if you haven’t yet seen the movie!) Even the smallest pieces of debris can be deadly, because they can be moving at 27,350 kilometers per hour (17,000 miles per hour), and there are possibly hundreds of thousands of objects, most too small to track, in Earth orbit. However, there are ideas being presented to try to reduce the problems that this debris causes, and with improvements in technology, hopefully the kinds of disasters depicted in the movie never happen in real life. The next two articles are from Brian Wang over at the Next Big Future blog. First up, SpaceX reviews the September 29 test of the upgraded Falcon rocket , in which they completed several important milestones along the way to being certified for use by the U.S. Air Force for National Security Space missions, as well as the more difficult challenges of full recovery of the boost stage. Next, as we celebrate Columbus’ voyage to the New World, Brian muses on what it would take to be the “Columbus of the Space Age.” He highlights the development of colonies that led to permanent populations, and gives some numbers on how we could quantify success for a modern-age explorer. For the next article, we go over to the AARTScope Blog, for Peter Lake’s article about the discovery of Asteroid 2013 TV135 on October 8th. This asteroid was discovered after it missed the Earth by 6.7 million Km, and is predicted to return for a close approach to Earth in 2032. It has been initially listed as a “virtual impactor,” but with more observations, this categorization is likely to change. Then we visit the Meridiani Journal for Paul Scott Anderson’s article on the upcoming mission to Mars from the Indian Space Research Organization (ISRO) on October 28. The spacecraft, dubbed Mangalyaan, is an upgraded version of Chandrayaan 1, and will study the Martian surface and atmosphere with its five payload instruments, including one that will sense the presence of methane. And finally, we return here to Universe Today, to read Elizabeth Howell’s article about the discovery of the remains of a water-filled asteroid circling a dying white dwarf about 150 light years away from Earth. The discovery is considered very exciting, because it shows that the components that make life as we know it possible, such as liquid water on a rocky surface, are present in other solar systems. That’s it for this week’s Carnival. See you all next time!